SALE! Now $150, originally $395. 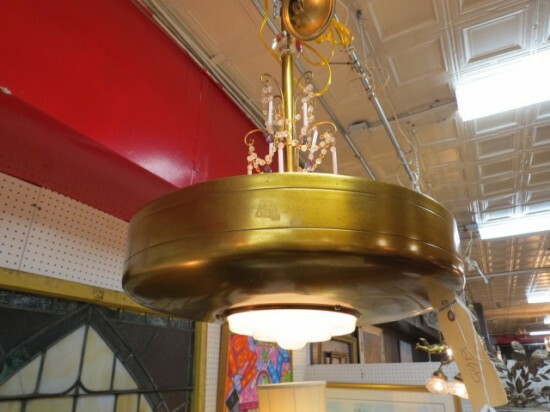 Vintage antique Art Deco brass chandelier, circa 1930. 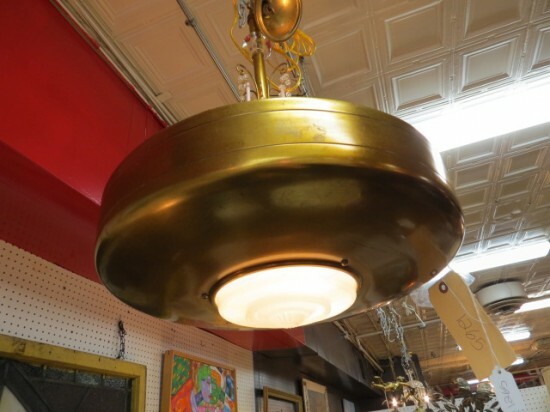 Brass bowl with round frosted glass insert in the center. 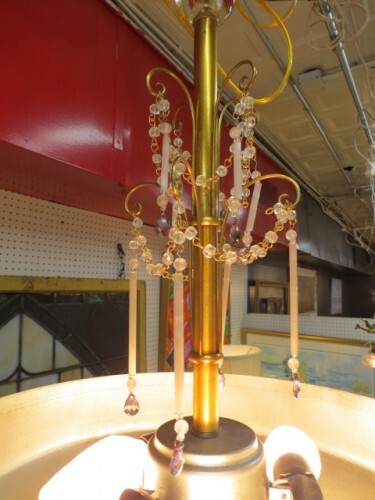 Brass stem and canopy with decorative brass and glass bead detail around stem. Excellent condition. 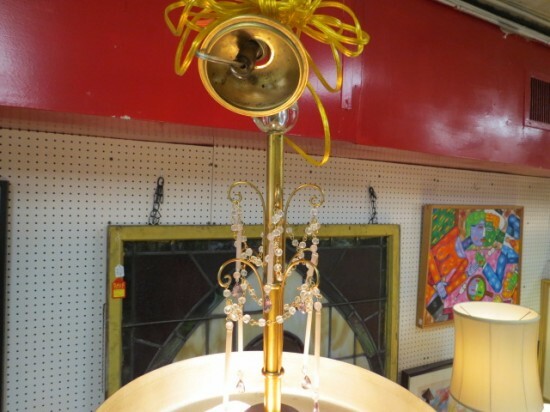 Measures 21” tall and 15” across.